Search engine optimization (SEO) assists marketing professionals in reaching their target audiences. As a marketing professional, you need to be constantly improving your SEO in order to actively compete with competitors. With poor SEO, your target audience will never see your promotions, your brand’s message, or the products your company sells. Outdated SEO techniques put creative advertising ideas to waste. Luckily, you can easily implement the best SEO strategies and earn yourself a spot on Google’s front page. Read on to learn the top tricks for improving your SEO ranking. Firstly, set unrelated links as “nofollow” to boost your SEO. In doing so, you communicate with search engine spiders and tell them not to follow the links. Since the search engine spiders will not follow the links, the sites that you linked to will not receive PageRank points. This is a bonus for search engine optimization purposes because you will not promote other businesses during your content updates. If you market for a healthcare business, you will not improve related companies’ SEO rankings even if you link to their sites. Instead, you will boost only your rankings with this trick. Another trick for improving your SEO ranking is to use schema markup. Schema markup simplifies the work search engines have to put in to interpret your website. For this reason, search engines like Google grant higher rankings to pages that use schema markup. However, you need to also offer quality content on your site in order to earn higher rankings. Schema markup allows search engines to understand your site, it does not guarantee that they will like what they find. Combine great marketing content with schema markup to continue improving your SEO. Since consumers continue to use their mobile devices to conduct online searches, making your site mobile friendly will improve your SEO. Google, for example, ranks mobile friendly sites higher than sites that only allow for desktop navigation. To achieve a higher ranking for your site, update it to automatically resize to smartphone screens. Choose fonts that allow mobile users to read your content easily on their phones. Simplify the process for finding and using menus to browse through your website. Follow these tips to make your site mobile friendly. As a result, you will boost your promotions’ views through improving your SEO. Marketing professionals are also bettering their SEO by implementing long-tail keywords. Long-tail keywords are phrases made up of at least three words. These keywords are longer and not used as often as short keywords. Thus, you do not have as much competition when using them and can rank higher on search engines. To discover the best long-tail keywords, use online tools specifically made for keyword searching. The best tools allow you to plug in potential long-tail keywords to see how many of your competitors rank for them. If you implement new quality long-tail keywords frequently, you will continue improving your SEO. Use header tags to land your website a spot on search engines’ front pages. Marketers typically use H1 and H2 headings to make their content easier to read. However, they offer much more on the marketing front than just improved readability. These headers also make it easier for search engines to read your content. They can recognize your promotional advertising ideas efficiently. After all, headers do break points up very well and simplify navigation. Google favors sites that use H1 and H2 headings. Therefore, marketing professionals need to use them to boost their search engine optimization. 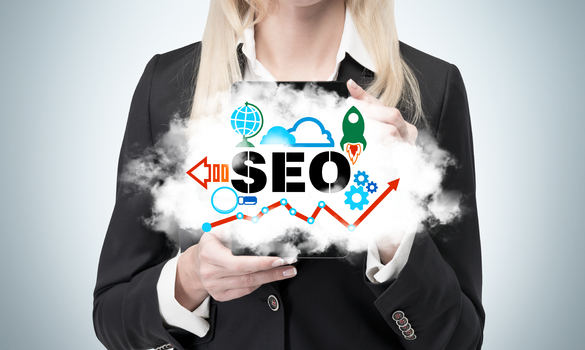 Marketing professionals use search engine optimization to gain more content views. To increase the number of consumers who see your advertisements, set unrelated links as “nofollow”. Use schema markup to make it easier for search engines to recognize your quality content. Since search engines favor mobile friendly sites, update your site for efficient smartphone usage. Find the best long-tail keywords and implement them to rank highly for relevant terms. Lastly, use header tags to boost human and search engine readability scores. These are the best tricks for improving your SEO ranking quickly.